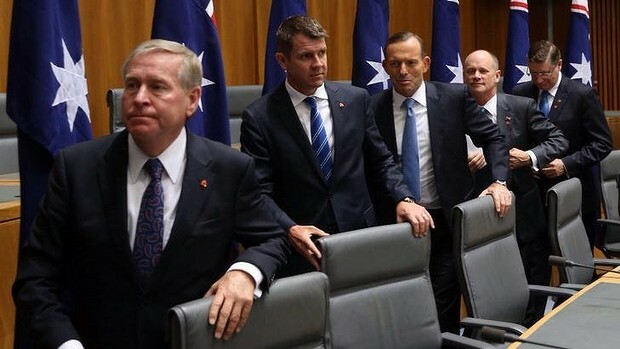 To the casual observer, the Australian prime minister and the six State premiers appear to have considerable power. As the leader of the majority party in their lower houses, they are also the leader of their respective governments. By extension, the prime minister is seen as the leader of Australia and the Premiers as leaders of their respective States. They also lead the cabinet, represent Australia or their State abroad and are usually the most visible government figure in the media. When it comes to making or reforming legislation, their power is substantial. Each leads the legislative program in their parliament, so it is unlikely that a proposed bill would pass through the party room and the cabinet without the support of the prime minister or the premier. Despite all this, their law-making power is far from absolute. The prime minister and premiers can have a considerable influence on changes to the law but they are also constrained by certain factors. As party leader. 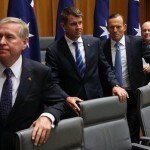 As leader of the governing party, the prime minister or premier is a powerful figure within the party. He or she usually decides ministerial appointments and can replace ministers in a reshuffle. He or she may also have a strong, even forceful personality. These factors generally mean that others in the party will follow the prime minister or premier’s lead with regard to suggested changes to the legislation. This can depend on the prime minister or premier’s leadership style: some have been strong, assertive or even autocratic within the party, while others have employed a more democratic approach. As head of the cabinet. As leader of the cabinet, the prime minister or premier plays a lead role in developing, shaping and approving the legislative program of the government. He or she might instruct ministers to draft particular bills or amendments or veto those suggested by other ministers. It is unlikely that a bill would be raised in parliament by a government MP if it did not have the support of the prime minister or premier. As head of government. As the most visible spokesperson and figurehead for the government, the prime minister or premier are often responsible for introducing and explaining possible law reforms to the media and the general public. How they go about doing this can shape public perception of the issue and contribute to the level of public support for these reforms. John Howard’s leadership during the post-Port Arthur gun reforms, for example, was crucial for enabling those reforms to succeed. As a negotiator. The prime minister or premier can also play an important role during the legislative process, not only in the parliament but also behind the scenes. Negotiations with the opposition, minor parties and independents can be important, especially when the government does not have a majority in both Houses of Parliament. In 1999 the Howard government managed to steer its controversial Goods and Services Tax (GST) bill through the Senate, mainly due to John Howard’s backroom negotiations with Democrats leader Meg Lees. The cabinet. The cabinet can be a constraint on law-making power. While the prime minister or premier chairs cabinet and leads discussion, he or she does not necessarily dominate it. If there is considerable disagreement or non-acceptance of a proposal by other cabinet ministers, particularly senior ministers, it is unlikely that it would proceed. Much depends on the leadership style of the relevant prime minister or premier and the character and experience of the other ministers in the cabinet. The party. Although the prime minister or premier is the leader of their party, they are also constrained by party factors, such as the party’s core values. Unpopular or controversial laws may lead to divisions within the party, even if the prime minister or premier supports them. It is not unknown for a party leader to be voted out of the leadership during a dispute over proposed laws. In 2009 Malcolm Turnbull lost the leadership of the Liberal Party to Tony Abbott due to internal wrangling over the government’s Emissions Trading Scheme (ETS) bill. In 1991 prime minister Bob Hawke’s inability to develop effective economic policy saw him lose a Labor Party leadership ballot to Paul Keating, who therefore became the prime minister. The legislative process. The prime minister may have considerable influence in deciding which bills reach the floor of parliament, however once there, all bills are at the mercy of the legislative process. MPs will generally vote for or against bills on party lines, however, some MPs may ‘cross the floor’ and vote against their party. If the government does not control both houses of parliament then the bill may be blocked, stalled or amended by the opposition, minor parties and independent MPs.